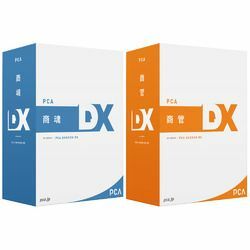 A set product of "PCA commercial spirit DX" and "PCA dealer pipe DX." I add various new features, and it is contributed to company competitiveness up by efficiency and the productivity improvement of business processes. A set product of "PCA commercial spirit DX" and "PCA dealer pipe DX." Company competitiveness contributes to improving by efficiency and the productivity improvement of business processes.